I was born and raised in the mid west and I have a Bachelor of Science degree from the University of Maryland. I spent most of my life in two different 20-year careers; the U.S. Navy and corporate America. 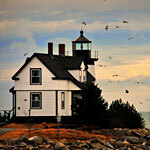 My passion for digital photography developed after I retired from business a few years ago and moved to Maine. Since then, I’ve been fortunate to have my images viewed, praised and purchased by photography lovers in this country and from abroad. My work is shown at several galleries in the Down East area. 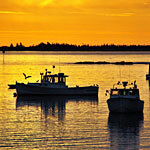 My work has been published in magazines, tourism publications and Maine vacation planning guides, the most recent of which is my photo on the cover of the 2012 edition of Maine Invites You, the primary publication of the Maine Tourism Association. 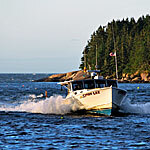 I’ve also been published in Maine newspapers, most notably the award-winning Ellsworth American, in which my landscape and seascape images have prominently appeared in print and on the internet dozens of times. 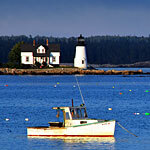 In 2010, I was pleased to receive an award from the Maine Press Association for my scenic photography. The natural beauty of the Maine coast is truly inspirational, and it provides endless opportunities for me to continue developing my art and skill as a photographer. I am available for commissions and freelance projects of almost any type or genre. 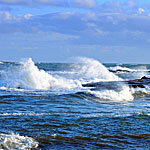 All images on this website are owned and Copyrighted by © Larry E. Peterson Original Photography.